Comparing and contrasting routes to eastern Belgium from the Channel Ports, the E40 via Brussels, E42 via Charleroi, and the N90 along the Meuse. We hear lots of complaints about Belgian motorways; specifically that they are crowded, fast and, well, a bit scruffy. Personally we love them but maybe that’s because we’re always buoyed by that ‘holiday!’ feeling. And we’ve driven them so often by now we’re fully acclimatised. Drivers heading from the Channel ports to eastern Belgium – to Liege, the Ardennes forest, The Belgian Grand Prix track at Spa Francorchamps, or on to Maastricht, Aachen, Cologne, Trier or Luxembourg – basically have two motorway options. Either the E40 via Bruges, Gent and Brussels. This carries the risk of congestion on the busy R0 Brussels Ring Road though E40 after Brussels is wide, flat, smooth, straight and much quieter. The other way is the E42 via the (toll free) A25 to Lille and carrying on east via Tournai, Mons, Charleroi and Namur (for Luxembourg turn onto E411 at Namur). 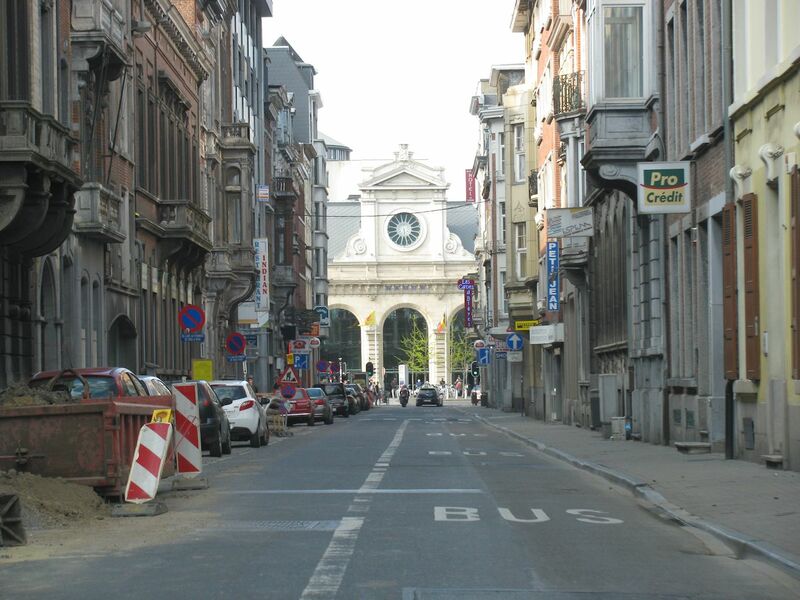 SatNavs send you the Brussels way because it’s shorter, 184 miles v 201 miles between Calais and Liege. Of the two, to our mind, the E42 is better. It’s quieter (apart from Lille at rush hour) and, lined with trees, has much nicer scenery. If speed is not of the absolute essence however consider the N90. It runs parallel to E42 for the ninety miles between Mons and Liege. 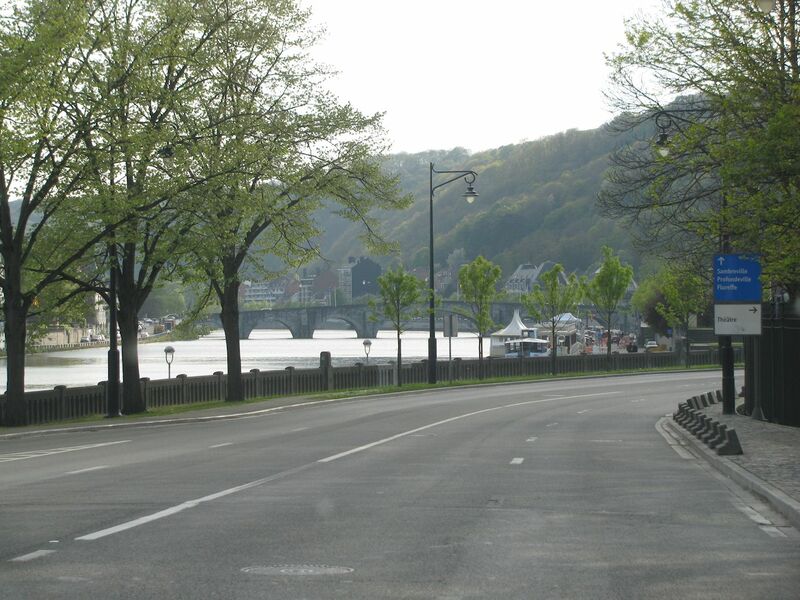 The latter half especially runs right beside the vast River Meuse in a narrow valley. It’s even lined with sheer cliffs from time to time (yes cliffs, in Belgium!). Okay N90 is not manicured perfection from one end to the other. There are occasional signs of industry, it’s mostly single lane and, of course, it goes right through all the towns along the way. With the bulk of traffic on the E42 however, N90 is not a main transit route. It’s the best of both world’s: you get a head start on the motorway but are quite quickly on the kinds of roads that probably brought you over here in the first place. Definitely worth a try. If you don’t like it, the motorway is never more than a couple of miles away.